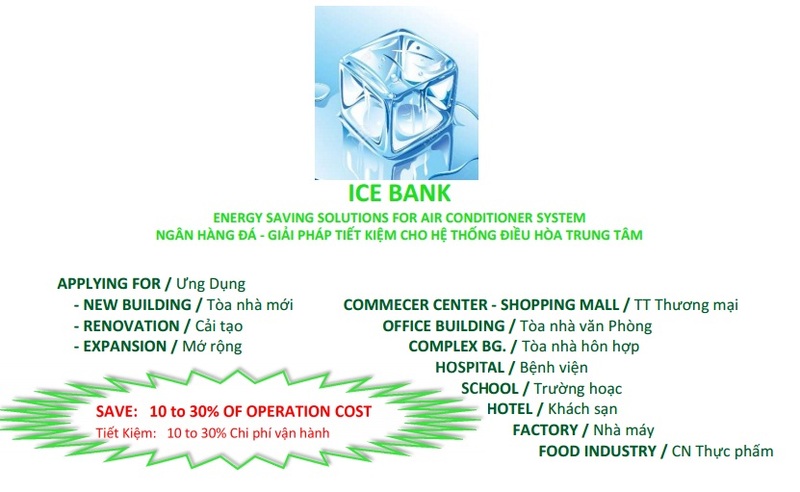 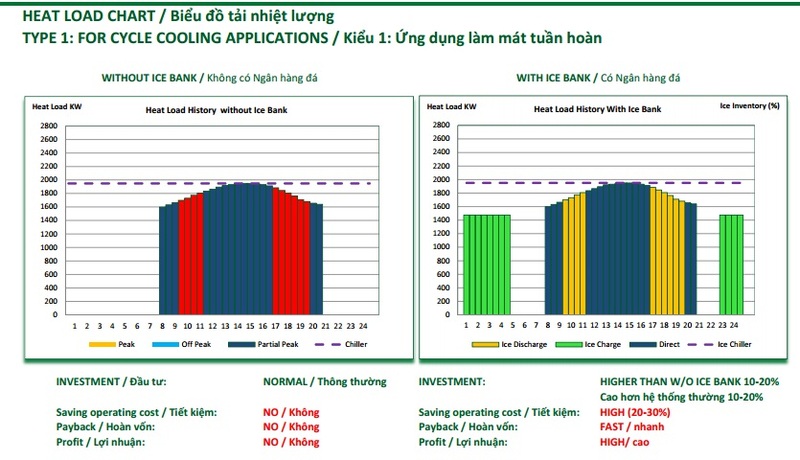 Design and provides “Ice Bank” system with rock formations in principle run off-peak hours at night to have the lowest power costs, cooling thawed in the daytime peak hours higher energy costs to achieve cost savings from 20-40% on power consumption. 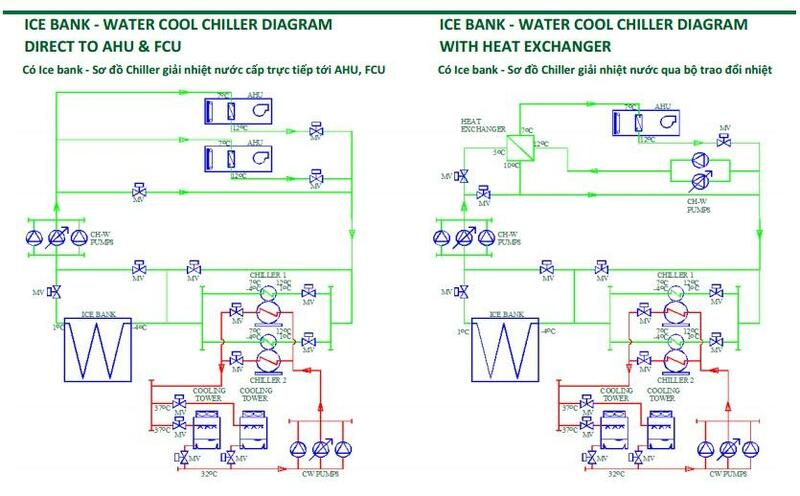 This system has been applied in the world for 40 years. 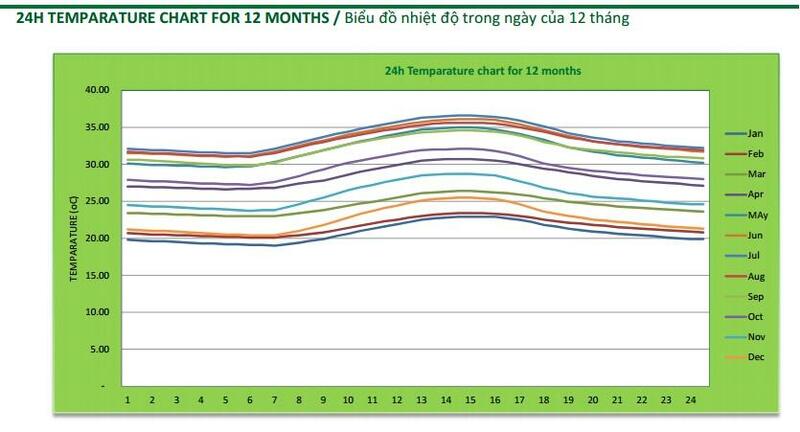 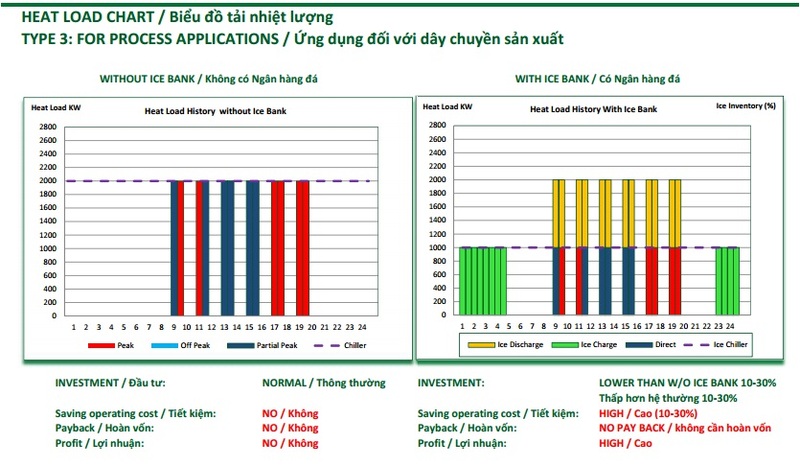 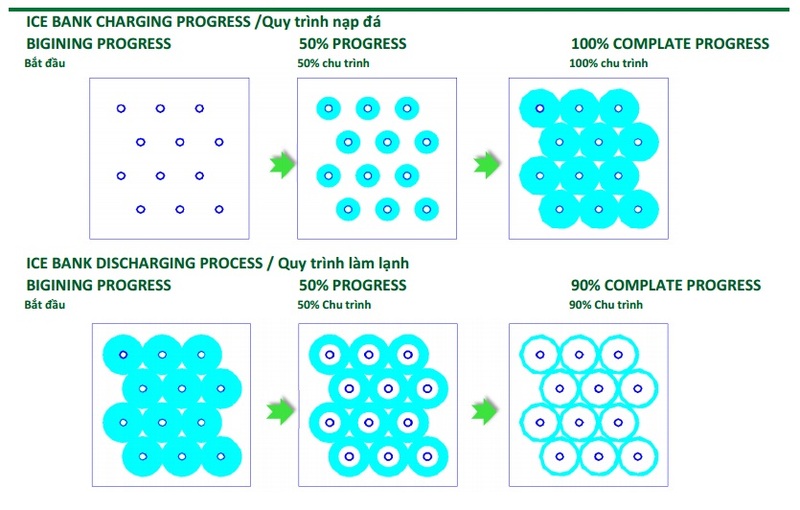 But in Vietnam recently applied new and REMEN is a leading company in this field. 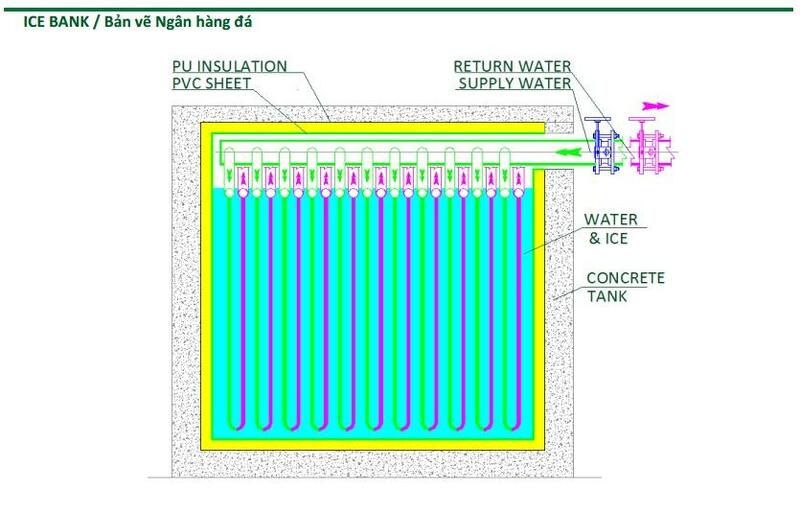 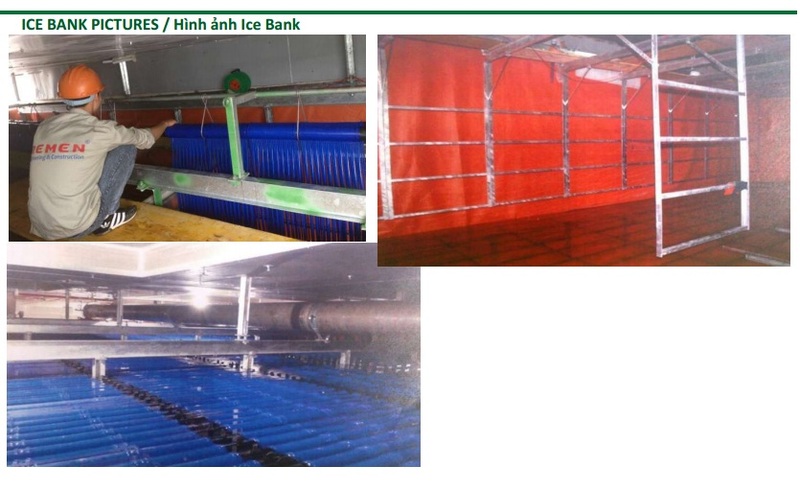 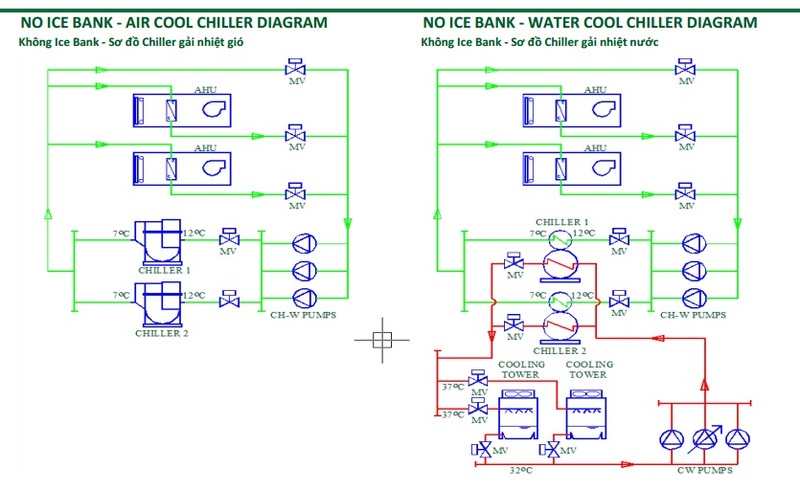 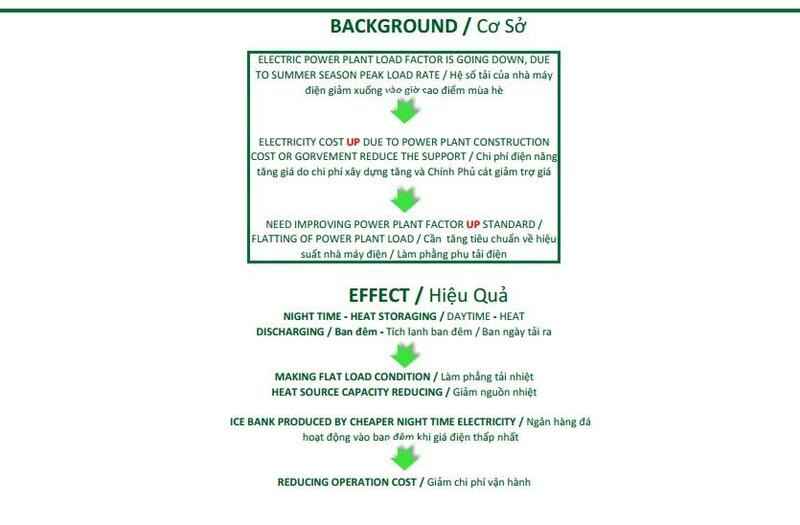 Energy-saving solutions in the Ice banking system can reduce equipment capacity is Chiller from 20% to 25% original design capacity, thereby reducing auxiliary systems such as substations, power cables, electrical power panels, and piping … .. 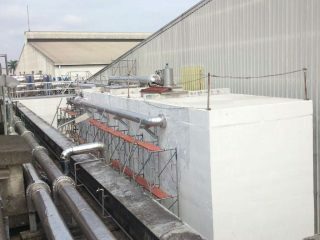 There for. 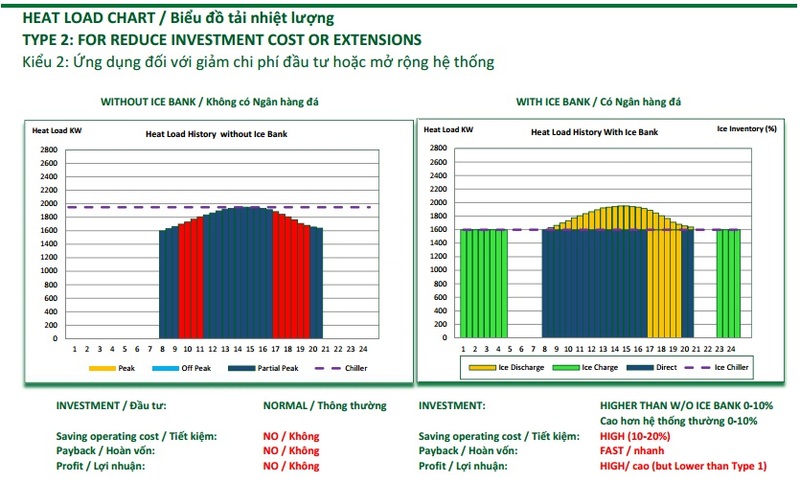 can reduced initial investment costs for the investor.